So, you started a business and now you are ready to get things rolling. For a successful business you to make sure you are handing out clear business cards. You probably have come across a number of different business cards and have even seen designs of business cards online, just make sure you are adding your own creativity to the mix to help your brand stand out. 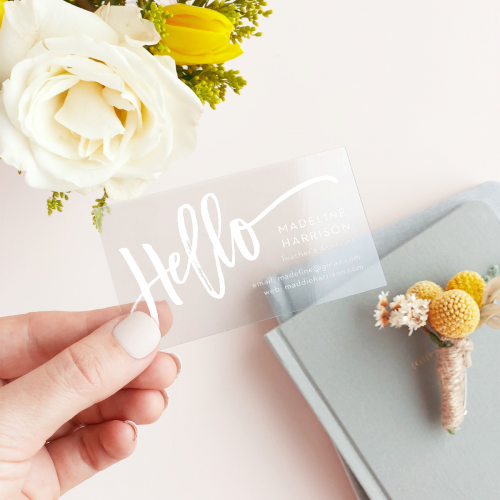 When it comes to designing your business card, the font you use might be the most important part. This says a lot about your business and there are certain fonts that you should avoid using as you always want your business cards to be readable. The colors and logo you use to represent your business should also be used when on your business cards to keep the same theme going. To be safe, you can always go with a classic white background and use colors like black or blue to help stand out. Most business cards are the same size and shape, which is usually the best. But, if you want to add some personalization and creativity to your business cards, you could consider unique shaped business cards. For example, if you make jewelry, you could use a diamond shaped business card. Also, the material of your business card is important. The quality of your business card is important, so make sure to use nice material and always make sure it is clear. 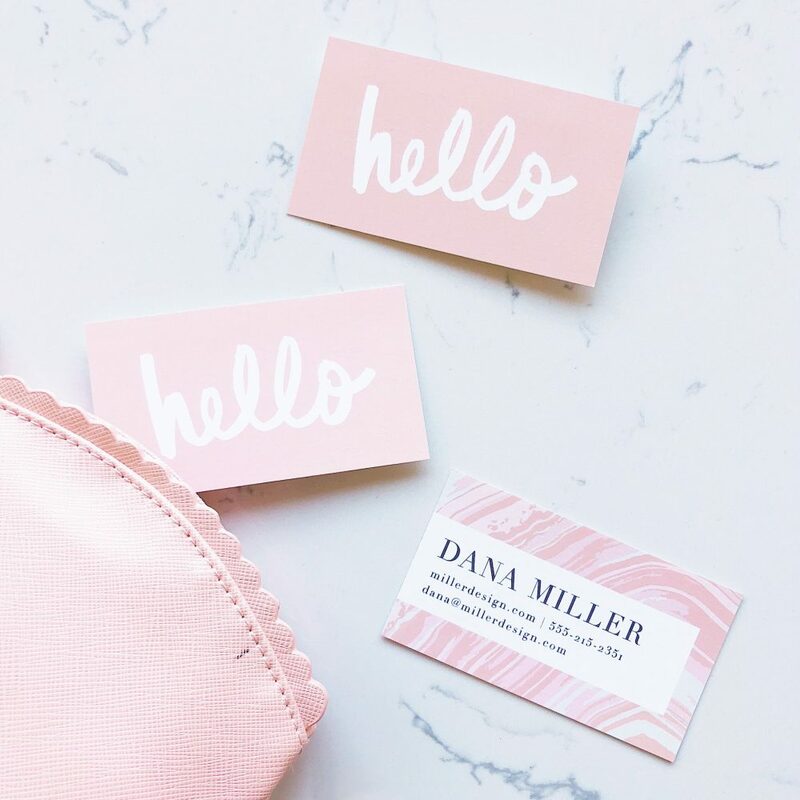 Of course, you want to make sure your business card includes all of your important business information such as your business name and contact information. Never include too much, but just enough to let your customers know about you and how to contact you. Always be prepared with having plenty of cards on hand. And most importantly, always do your best to avoid any typos on your business card.